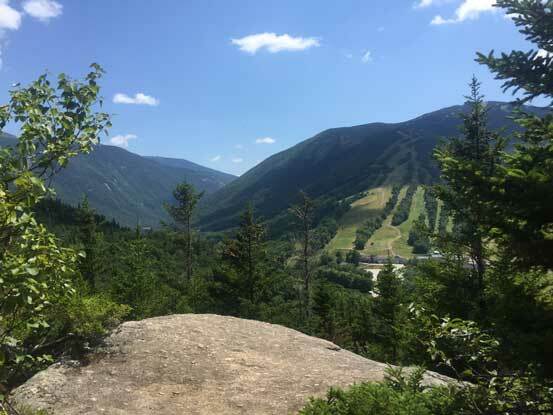 Located near the famous Franconia Notch along I-93 corridor in the northwestern White Mountains, New Hampshire, Bald Mountain has one of the highest view-to-effort ratio. This is a rather insignificant peak comparing to its bigger neighbours, but with a mere 0.4-mile trail leading right to its open summit, one can get a good perspective of the surrounding areas. Having never been to the eastern United States before I had no clue what exactly to expect. 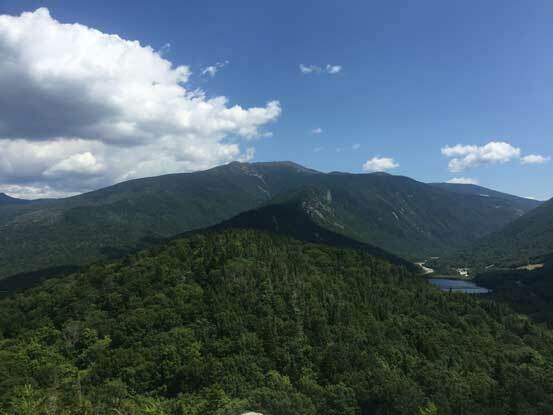 I came up with this idea by simply looking at the topographic maps, and after some quick Google search I figured it’s indeed a good option to take my friend Yujia up for a short hike. 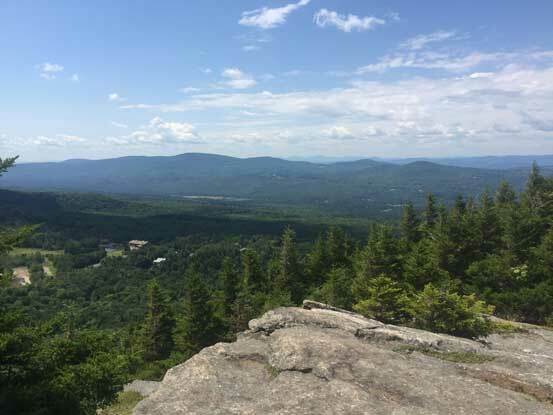 For obvious reasons my main purpose of travelling to the eastern United States was not hiking and peak-bagging, but with some flexible days thrown in I did manage to squeeze a couple peaks into the schedule. 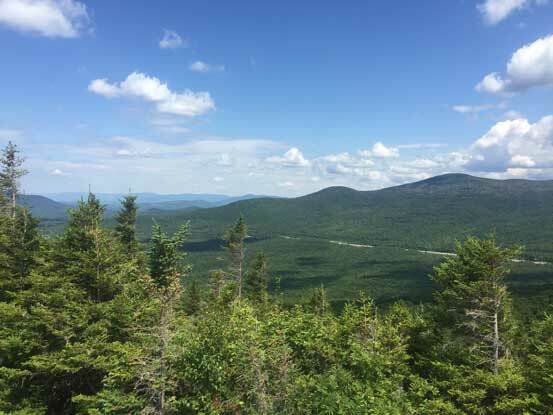 The White Mountains is one of the most popular place for mountain-related trips in the entire New England region, and takes a mere 2-hour drive from Lowell, Massachusetts. 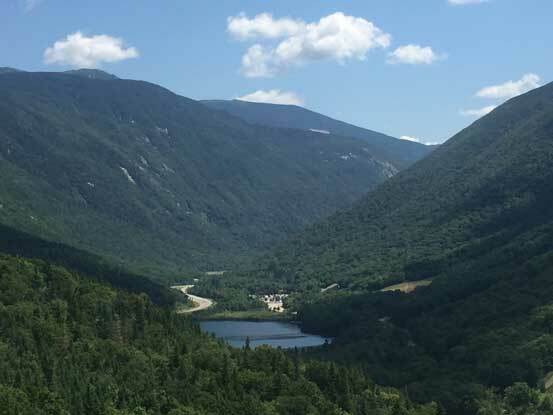 We stayed at Branch Brook Campground in the previous night and I have to say that it’s quite an expensive camp comparing to the ones in western Canada. The next morning we woke up around 10 am, had brunch in Campton’s Little Red Schoolhouse, and then off to the trail-head we went. 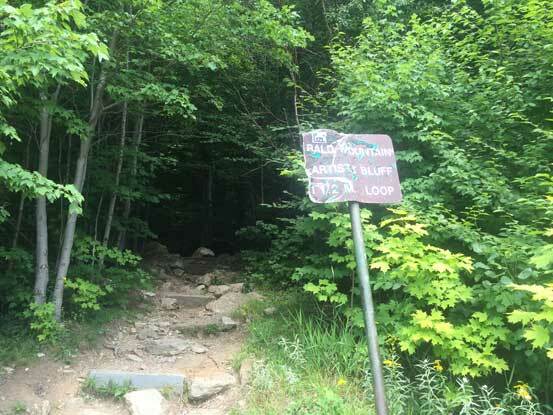 From the large parking area the initial section was following an old carriage road. The trail-head was well signed but the trail was a rough at places. Given its popularity I was expecting a smooth-surfaced trail but in fact, there were lots of rocks poking underneath. 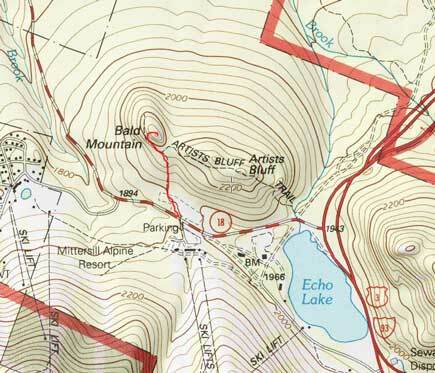 In short time we arrived at the saddle between Bald Mountain and Artists Bluff. 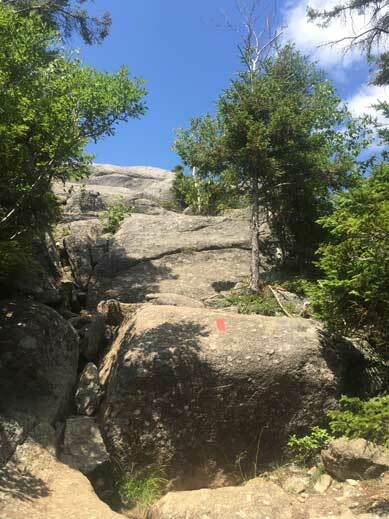 We took the left turn which became steeper and narrower the higher we went. 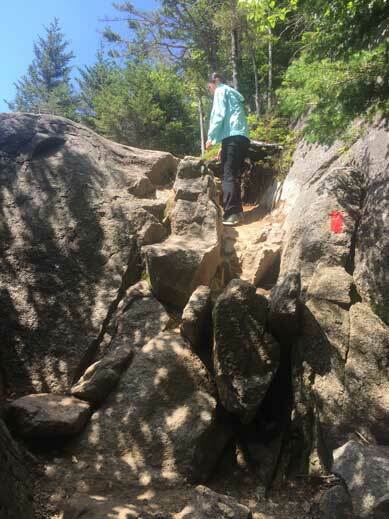 Near the summit there was some rock steps to overcome and some sections I’d say would warrant a Class 2 scrambling rating. After some obligatory lingering it’s time to head down. Down-scrambling the rock steps required some caution but once joining the main trail the rest of the return was uneventful. We decided against the loop hike over Artists Bluff as we were both getting a bit tired. 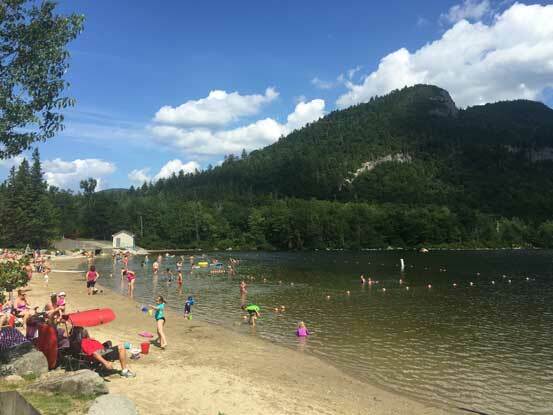 The nearby Echo Lake by Franconia Notch sounded attractive so we decided to check it out as well. In fact, they offered canoe renting at a rate of 20$ per hour. That sounded like a good deal so we spent the next hour exploring Echo Lake. 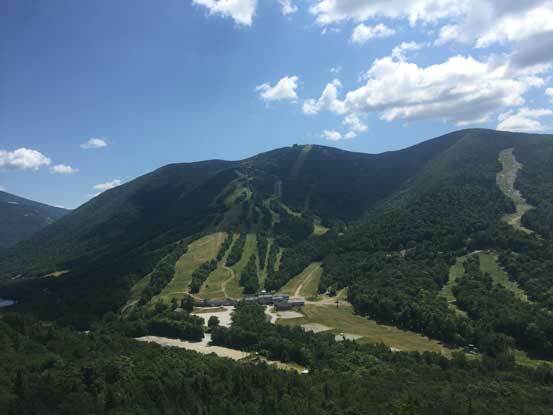 After having enough fun near Franconia Notch it’s time to move on. Our next destination was the largest lake in New Hampshire – Lake Winnipesaukee. After having dinner near Laconia we took a cruise out from the famous Weirs Beach at sunset hour which turned out to be another excellent experience.